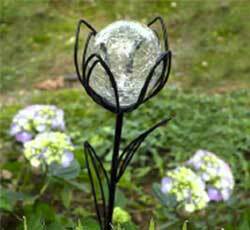 Let your yard and garden shine with this Solar Garden light. 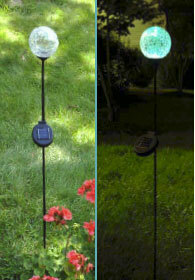 The solar panels absorb the sunlight and automatically recharge during the day to emit different color lights at night. The illumination is amazing and fun to watch.